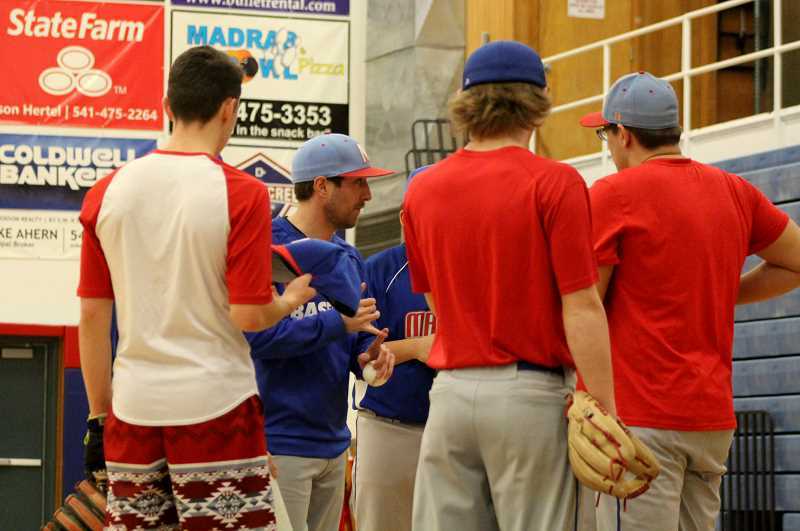 Last spring's Madras High School baseball squad made it to the state, but that squad was loaded with senior starters. The year's squad will be looking for for guidance from head coach Sam McCormick and experienced juniors Kody Zemke and Liam White. "I think we are a young team, but there is a lot more positivity and friendship on the team this year," White said. "We get along a lot better than in years before. With North Marion and Gladstone teams in our league, we are going have to play really well. It will come down to small ball, pitching things and acute details. We can hang with any team, but it will just come down to a couple plays that will make the game." Madras will only have one senior this year and is looking for the younger kids to step up against a very tough Tri-Valley League. "We are definitely underclassmen heavy, which is cool for us because we have a bunch of really nice, high character guys that are sponges for the game of baseball," McCormick said. "It makes it really fun to come to practice every day, with kids that have two sets of eyes locked on you, while being very coachable at the same time." "The cool thing about young guys is the fact that it is really easy to mold habits," he said. "The age thing doesn't really bother me because it is really outside of our control. We do the best with what we have and we have the making of a really, really, good year for a run to happen here." "We replaced that big group of seniors, with a big group of underclassmen," said McCormick. "This will set us up to have eight to 10 seniors, three, four years in a row, which is a big time thing, especially for 4A baseball." The White Buffalos lost to North Marion in the semifinals and Gladstone won the state championship last season. Both teams are in the Tri-Valley Conference this year. 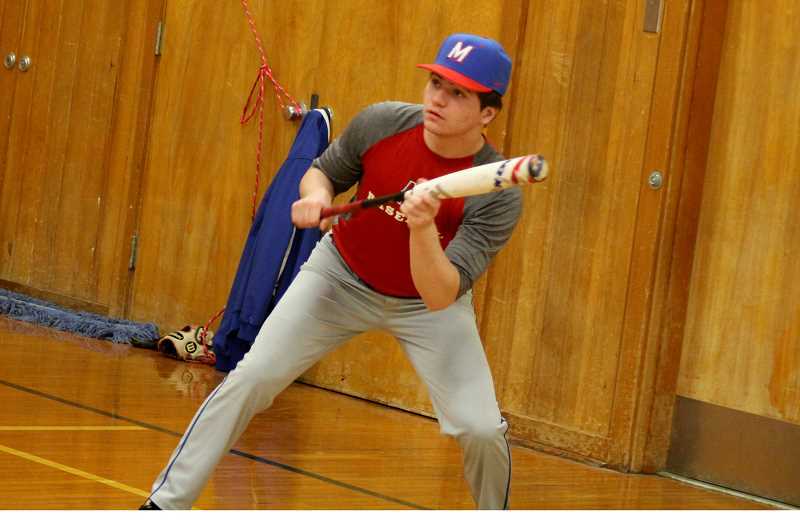 "Expectations are just to go out and play good baseball," said McCormick. "If you make two or less errors, not walking guys, attacking fast balls, wear pitches, execute small ball, you find ways to win games. It is not like this or else. We need to put these kids in the best position to be successful. If we can do that continually, we will find success." With the snow surrounding the baseball field, the Buffalos have been using both the main and upstairs gyms, working on small things and having nets for batting. "It is hard being inside, because we are not throwing as much, but we are getting a lot of offensive time with the bats," White said. White earned honorable mention last year finishing the year with a .833 fielding percentage. He also had a batting average of .370, while recording 20 hits, 17 singles, three doubles, 13 RBIs and scoring 11 runs. "I don't really mind being inside," said McCormick. "Usually, the kids complain early about not getting enough hits, but we are getting a ton of hits in early, which I think will really show early in the season. Where we might be held back is the fact we cannot take any infield, or any ground balls, but that will come." The Buffs travel to Mazama on March 13, for their first game of the season and also travel to Sweet Home to play Sisters on March 15.